One: be aware that the standard monthly premium for Medicare Part B has increased from $134 in 2018 to $135.50 for 2019. Meanwhile, Medicare Advantages’ premium has dropped to $28 from $29.81, and Part D prescription drug plan has decreased to $32.50 from $33.59. Two: be mindful of deductibles when navigating your healthcare coverage. Medicare Part A that covers hospital, skilled nursing, and some home health care services now carries a $1,364 deductible. That is a $24 increase over last year. 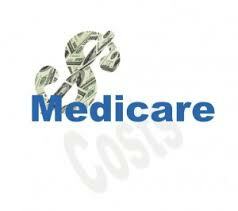 Medicare Part B has an annual deductible of $185, which increased from $183. In addition to this deductible, those who have a secondary insurance or a supplemental insurance may have an additional deductible to meet as well. Always, check with your supplemental insurance. It is also important to understand which insurer is the primary payer, and which insurer is the secondary. Most of the time Medicare will be the primary. But if you have a commercial plan from your employment, your commercial plan may be primary. Make sure you have filled out your coordination of benefits to avoid any confusion. The secondary payer may pay for all or some of the 20% coinsurance for services received, as long as it is a covered service. Three: Medicare Advantage plans will now have an open enrollment period of from January 1st to March 31st. Medicare Advantage are plans that allow you to bundle all of your healthcare needs; including dental, vision and prescriptions. These plans are administered by private insurance companies, such as BlueCross BlueShield and UnitedHealth Care. Always compare premiums, co-pays, deductibles, out-of-pocket cost and-of course-what is covered. And finally, please make sure that our office has the most recent insurance information. All Medicare patients should now have a new Medicare card that does not have your social security number. Please provide your supplemental insurance and your prescription/pharmacy cards. You can always visit the Medicare website at https://www.cms.gov/Medicare/Medicare.html or call 1-800-633-4227 with any questions. And, as always our office staff is happy to help you verify coverage and answer any questions you may have. Stay warm and healthy in 2019!